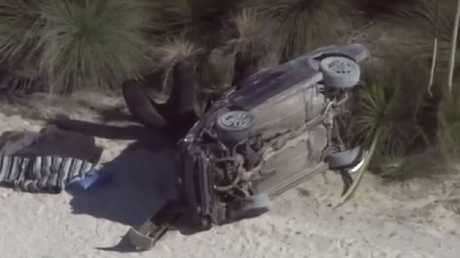 A 17-year-old girl, who had been handed her driving licence just hours before her car spun out of control on a dirt road in Western Australia, has died in the horror crash that left her two mates in hospital. Police said the three girls in the car were all in Year 11 and celebrating the end of the school year by taking a day trip to the beach. However, WA Police said the trip ended in tragedy when the teenager lost control of the Subaru Outback on an unsealed road at about 12.30pm on White Hill Road, Bouvard - just south of Perth. The car rolled several times and the teenage driver from nearby Erskine died at the scene due to receiving fatal head injuries, but her two 16-year-old friends managed to crawl out of the wreckage. One of them called their mother, telling her they'd been involved in a crash and both teenagers were taken to Royal Perth Hospital. WA Detective Senior Constable Steven Morgan described the fatality as "just awful" - adding that police did not believe the 17-year-old was speeding and all three girls were wearing seatbelts. 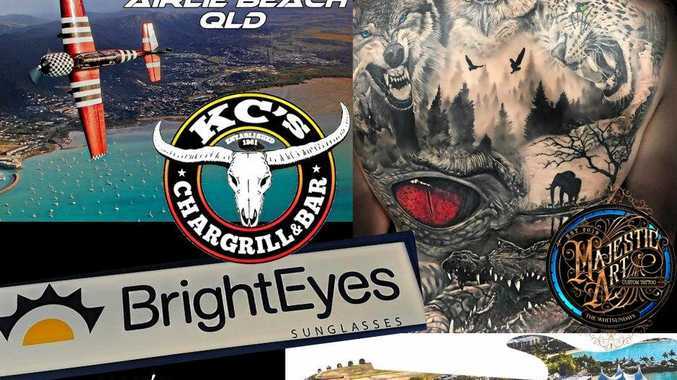 "There is nothing here at all to indicate the driver was exceeding the speed limit or doing anything wrong whatsoever," he told The West Australian. "Unfortunately, it is just inexperience on an unsealed road. It is a loose surface and very bumpy. "It is a tragedy any time but coming up to this time of year when families want to be together, it is awful." The major crash squad is at the scene investigating.